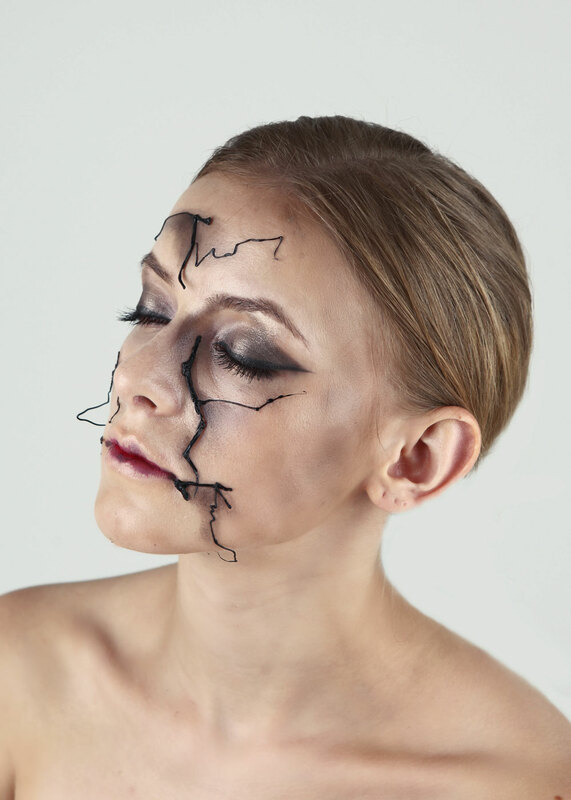 Hyun-Kyung, a 24-year-old makeup artist from Seoul, South Korea, turned to the 3Doodler. “I was able to create a three-dimensional design of various feelings through actual Doodling,” she says. "I could embody the desired form in three dimensions without going through a complicated process, and it was good that I could create a shape or figure imagined in my head as a solid itself." Now Hyun-kyung has been using the 3Doodler for over a year, and there is no sign of struggle in her creative makeup combinations. Hyun-Kyung was especially inspired by bold designers who freely explore new shapes and dimensions, like Alexander McQueen and Iris van Herpen, a leading designer of 3D-printed fashion design. "I chose an outfit that might be the most eye-catching when combined with the 3Doodler, and made the work after drafting a design with illustration." “But not all of my works are inspired by fashion shows,” Hyun-Kyung adds. In 2016, South Korea was rocked by a total of 470 earthquakes and subsequent aftershocks reaching up to 5.8 in magnitude. “Many people were afraid,” says Hyun-Kyung. “These earthquakes occurring one after another were judged to be a warning from nature that we take life for granted.” To reflect the worry and concern of these natural disasters, she created a custom design inspired by the quakes. “It shows the cracks of the earth to raise awareness for the environment,” she explains.